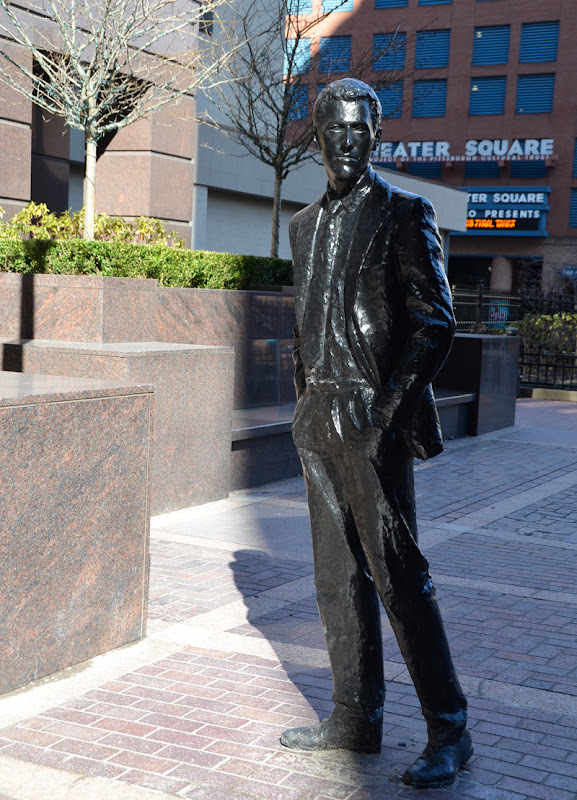 This is the second sculpture in the city with the name of Pittsburgh People , the first was done by Jerry Caplan and installed in 1984. This version bears no resemblance to the first. They are done in different materials, styles and themes. 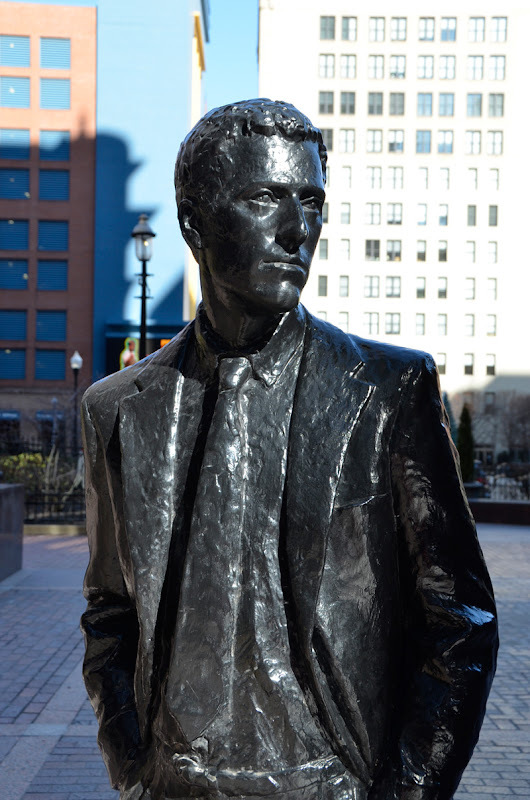 Pittsburgh People by Penelope Jencks celebrates the mix of business and arts found in the cultural district. There are three figures in EQT Plaza. 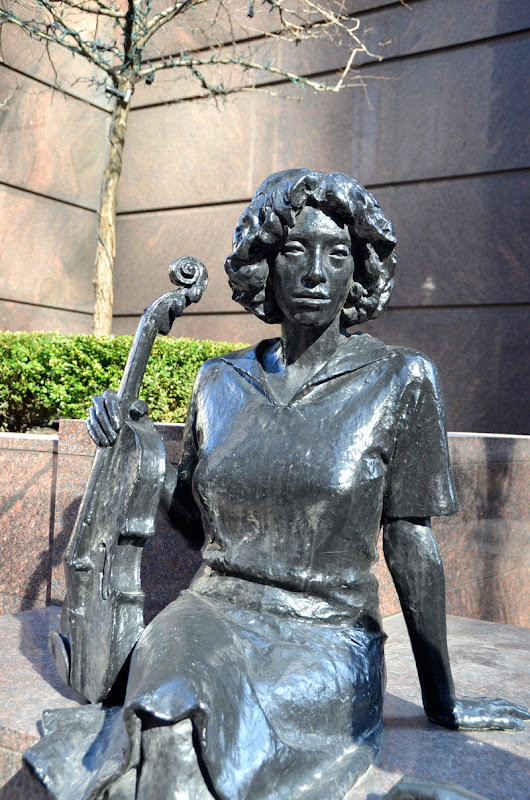 The two musicians are placed together near the street entrance, and the businessman is across the plaza near the building entrance. 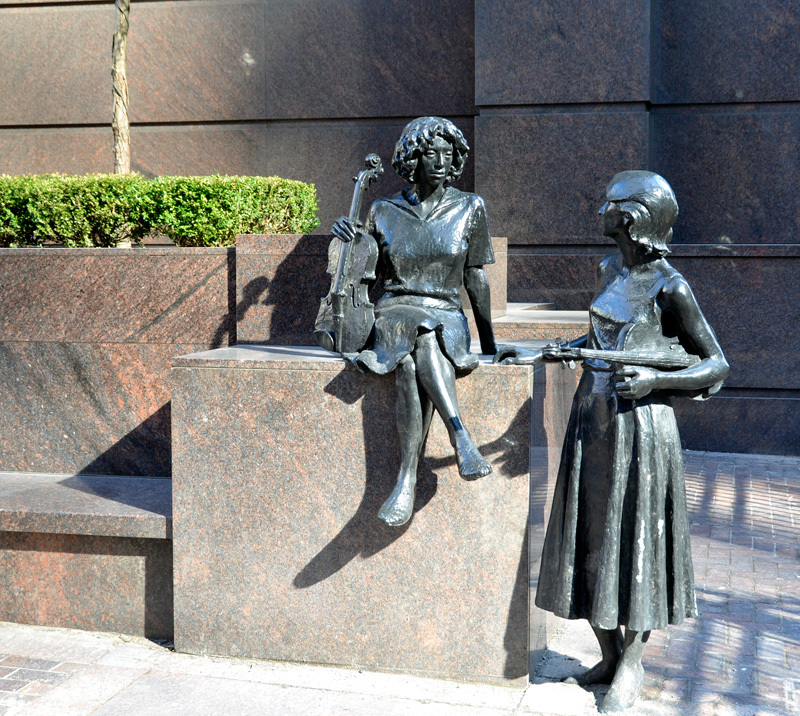 While the figures in Jerry Caplan’s Pittsburgh People are modeled after real Pittsburghers, Penelope Jencks often used her children as her models. An article by Wendy Doniger says Her children are now, in various guises, standing, walking, or sitting from Toledo OH to Pittsburgh PA and scattered throughout eastern Massachusetts.